In Helm CONNECT Compliance, the Documents module ensures your crew and shore personnel always have the most up-to-date versions of the documents they need. Use the Document Control tab to upload PDF files and publish them for your crew and other teams to use in their libraries. From this tab, you can control which divisions and assets have access to each document, manage version numbers and responsible parties, and monitor which installations have received it. Any documents you upload will appear on the Document Library tabs in both the Compliance and Onboard modules. This lesson will show you how to upload a document to your teams' libraries. When you upload a document, you start at the top, with the header information. This is where you configure the settings for your document, including which divisions and assets will use it, whether it's for use on shore or on your assets, what version it is, and whether the document requires acknowledgement. Start by giving your document a name. This is the name your crew or other teams will see when they view the document in the library. Use the Notes and Attachments icons to add notes about the document or to attach any additional files. Any notes or attachments you add to this document will be available to anyone viewing it in their library. You can't assign a document to any divisions you don't have access to. Users can't see documents assigned to a division they don't have access to. If they're logged into an asset installation, they can't see any documents the asset doesn't have access to. You must select which assets will see this document. If you don't select any specific assets, they will all see it. Assign a version number to each document you upload to the library. When you update a document, you will assign it a new version number. The previous version of the document will then be archived, automatically, and unavailable for anyone to use. The published date is when the document will be available. If you select today's date, or a date in the past, the document will be available once you click Publish. If you select a date in the future, the document will be available on that date. Select your name from the list, as the creator of the document. If you like, you can add document categories to the document by clicking the Document Category field and either selecting an existing one or adding a new one. Document categories are similar to tags and help organize the Document library. You can assign one or more active employees to be responsible for a document by selecting names from the Responsible Parties list. Any responsible parties who can log in to Helm CONNECT will receive email notifications when an asset installation first receives a new document, or receives an updated version of an existing document. There are no notifications when someone acknowledges a document. ImportantIf you want a responsible party to receive email notifications, you must make sure they are set to Can Log In in Users. On the Library tab in Documents, under Onboard, your crew will see a visual cue that a new document has arrived and requires acknowledgment. They can then click the Acknowledge button to confirm they've seen the document. On the Document Control tab in Documents, under Compliance, you can check whether or not someone on the asset has acknowledged the document by selecting it from the list, then clicking the icon in the upper right of the tab. NoteAlthough you can configure any document to require acknowledgment, only crew using an installation of Helm CONNECT will see the visual cue and be able to acknowledge the document. 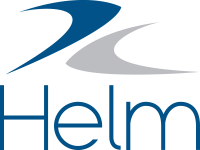 Crew using the browser-based version of Helm CONNECT won't see the visual cue and won't be able to acknowledge the document. To upload a new PDF document, click the Upload PDF button in the Preview area. You will then see a preview of the document. To upload a new version of an existing document, the Upload PDF field in the top left will display the current file name. Click this field to upload the newer version. If you replace an existing document with a new PDF, your crew will see the visual cue for a new document and the Acknowledge button. If you update any fields in the document header (name, version number, etc.) but don’t upload a new PDF, your crew won’t see the visual cue for a new document or the Acknowledge button.